We were asked this exact question a recent consultation we held for a lovely young couple and to be fair, when you are on a budget i personally think it’s a very good question to ask. I answered their question with some advice i was given many years ago, “You get what you pay for and you get nothing for nothing”. 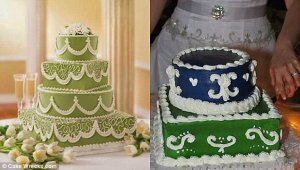 But i also believe that you need to tread very carefully, as you don’t want to be put into the situation where you are getting ripped off as well, which can make choosing your wedding cake designer than little more difficult. 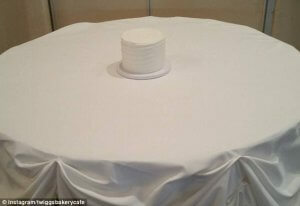 With so many cake designers to choose from, it can be difficult to even know where to start and who to contact. In this post i will try to give you some advice and hopefully help you make an informed decision, for what really is one of the most important days of your lives. A professional cake designer in most cases should be the holder of an Australian ABN (Australian Business Number) and be registered with ASIC (Australian Securities and Investment Commission), just these two points alone are very important for you the consumer to consider, as this ensure that the business has rules and regulation that need to be followed and offer protection for both the client and the business owner. The business would have had to pass strict health and safety inspections to be awarded a licence to enable them to produce an edible food product, either from a home based business or commercial premises. If you are unsure the person you are dealing with has these licences in place you should feel no pressure and ask to see these documents, any legitimate business will be happy to provide them to you. For you the client the above points are vitally important, in the case of our own business (Rimma’s Wedding Cakes), it means you are dealing with a trusted registered cake decorating business who has all the approved licences in place to enable us to conduct such a business. This gives you peace of mind that both you as the client and the business owner are protected and you are dealing with a business you can trust. These “Hobby” business can be hard to spot, and on the surface appear to be proper registered businesses, but as mentioned before if you have any doubt, do not be afraid to ask to see their documentation. I would also like to point out that not all of these business produce inferior cakes, again we have seen some amazing and beautiful cakes produced of the highest quality and i wonder why with such high quality work why they are not registered. It is much safer for them and you as the client. Do you think table a little to big??? It would be fair to say that a person who conducts and Non-Professional “Hobby” business will in most cases be able to produce a cake at a cheaper rate than a fully insured and registered cake decorating business. If i may be blunt, you need to tread very carefully, as i have stated before cheaper is not always your best option. I know with our own business we are priced in the middle, and we have both lost and gained work for this reason alone, but also clients know that we are a trusted business. 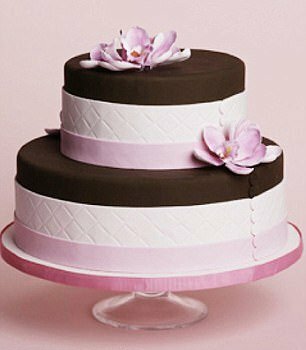 It is vitally important that you both weight up all of your options when considering your wedding cake designer, ensure you do your homework, ask plenty of questions, ensure you inspect both past and present cakes, most professional cake designers will have “Dummy Cakes” for you to inspect their workmanship. Again it is true to say that most professional wedding cake designers will be higher priced than someone doing it for a hobby, but the real question you need to ask yourselves is this, on one of the most important days of your lives, do you take the risk…… Great question to ask and one i wished i had asked myself many times before with other purchases. I hope this post has provided you with some help in choosing your wedding cake designer, if you have any questions at all about your wedding cake, regardless of if you are going to use our service or not please do not hesitate to contact us we are only to happy to help with guidance and advice where we can. also if you have a topic you would like to see a post about please feel free to put your suggestion forward, our own wedding cakes can be viewed here for some inspiration and ideas. This entry was posted in Rimma's Wedding Cakes. Bookmark the permalink. 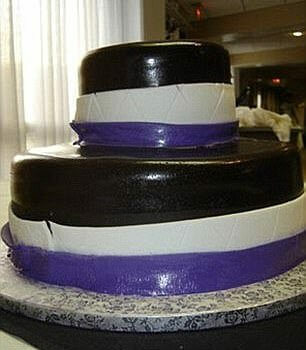 At Rimmas Wedding Cakes Perth we have a passion for creating delicious and stunning Wedding Cakes. Our Showroom in Banksia Grove has a variety of Wedding Cakes & Cupcake Towers on display. All of which can be mixed and matched to suit your theme and budget, or alternatively, show us your dream cake and we can bring it to life for you. All cakes are made fresh on the premises in our fully approved kitchen with only the freshest ingredients always used we take great pride in knowing you have entrusted us with your Wedding Cake. From your initial consultation through to the delivery and setup, you will have the comfort of knowing you are talking with the business owners ensuring the planning of your Wedding Cake receives our full attention and is a fun and enjoyable experience. Call us for a free consultation and enjoy sampling a variety of cake flavours. We’re here to make Your Edible Incredible.